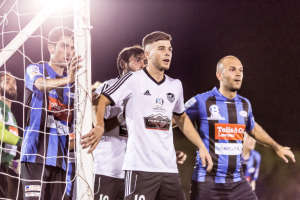 Adelaide Comets have started the 2015 South Australia PlayStation4 National Premier League on a high defeating Para Hills Knights 1-0 Friday night at Santos Stadium. 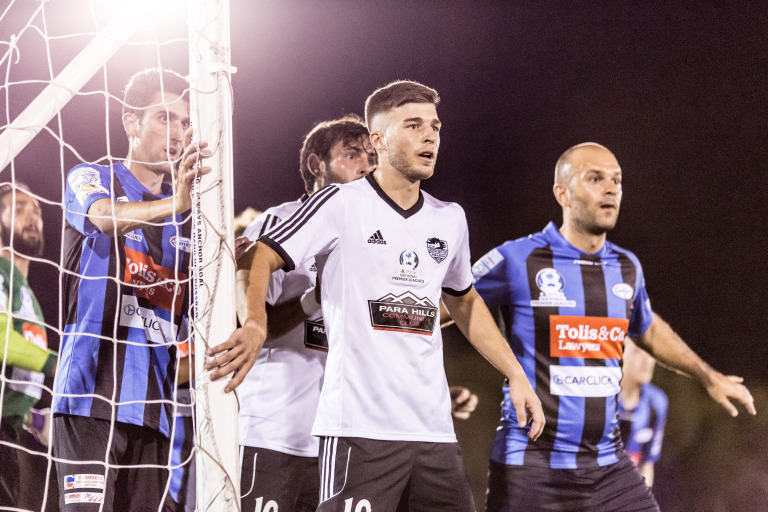 Para Hills started the night with numerous attempts at hitting the back of the net but it was Adelaide Comets who opened the scoring 30minutes into the game. Comets coach Jim Karatzas was pleased with the first win of the season for his side. "We haven't beaten Para Hills in over 3 years but the boys put in the effort and we deserved the win. "Tonight's game was a very gutsy effort, last year we had a good run but lacked concentration." The Comets and Knights played competitively throughout the night which Knights coach Simon Catanzaro noted. Adelaide Comets finished the half with the only goal of the session and the Knights still going strong with hopes of making a quick recovery. Para Hills maintained the majority of the ball possession throughout the game with the Comets attempting once again at scoring a second goal. Comets went down to 10 players after Samuel Tesfagabr was sent off following a second yellow card. Catanzaro said that despite traveling to Santos with a clear directive that was adhered to, the final result did not go their way. "We came here with a plan and we stuck to the plan. We wanted to shut them down being away from home and we did that very well. Karatzas told that he was satisfied with the result. "I am very happy with the boy’s performance tonight, they stuck at it and that’s why we deserved the win". Catanzaro concurred with Karatzas and is looking to the next round.